The first trailer for Jay Z’s docuseries about Kalief Browder has been released, and although the series seems like it will be difficult to watch, it’ll be something that’s a necessary watch. Time: The Kalief Browder Story is a six-part Spike TV series that tells the story of Browder, who at the age of 16 was arrested in 2010 on false robbery charges. Browder, who assumed he’d be let out of custody immediately, ended up spending three years at New York City’s notorious Rikers Island jail complex. Browder was never convicted of a crime, and once he was released, he made sure the world knew his story. But unfortunately, the psychological damage was already done. In 2015 Browder committed suicide. Jay Z executive-produced the series In partnership with the Weinstein Co. and had input from Browder’s mother, Venida Browder. Unfortunately, she died of a heart attack in October. 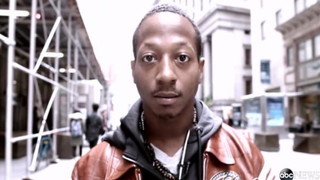 TIme: The Kalief Browder Story will debut on Spike TV on Wednesday, March 1, at 10 p.m. ET.